After posting my previous Pita Bread recipe, I started receiving different questions about the texture and the ingredients of the bread. 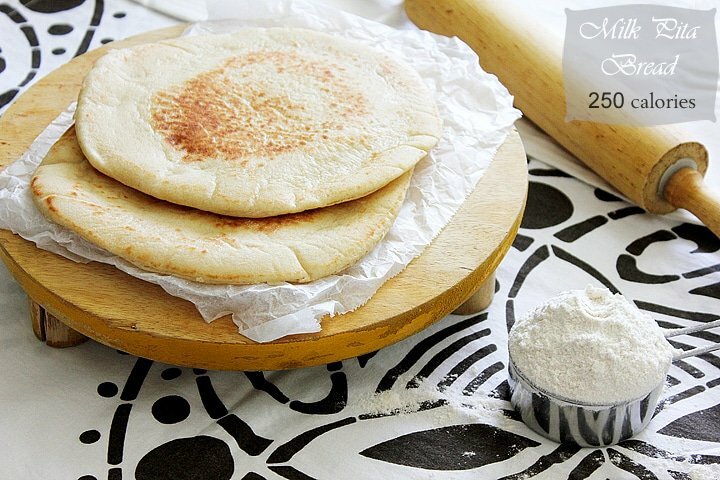 If you are not familiar with Pita Bread, then you have to know that there are few different types of it. Some are chewy and thick, other are soft and thin, and you can also find a small, thick and very fluffy Pita Bread too. 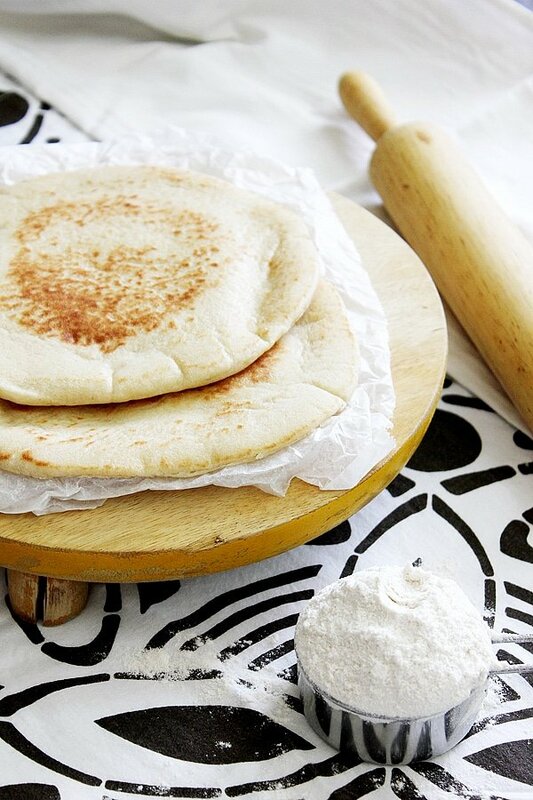 It all depends on the flour used and the country that Pita Bread originated from. 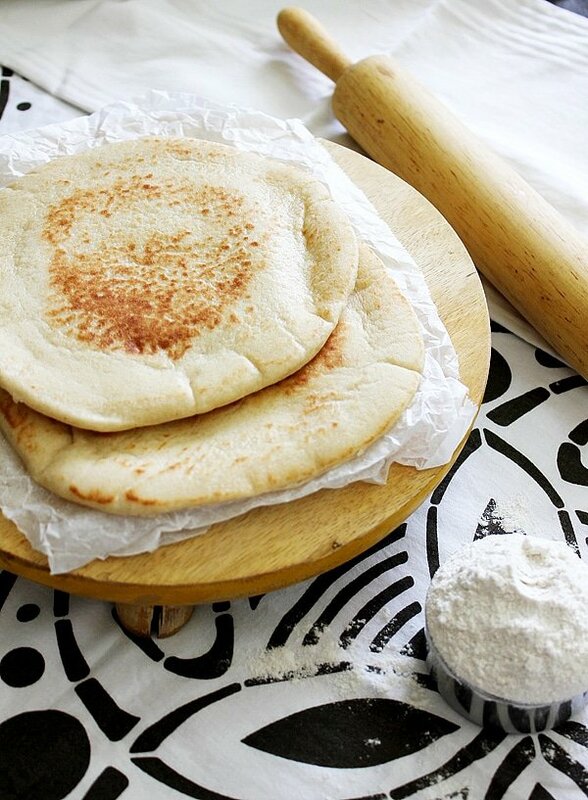 If you are in Egypt chances are the Pita Bread is chewy and thick, in Lebanon you’ll find large very thin and soft Pita Bread. 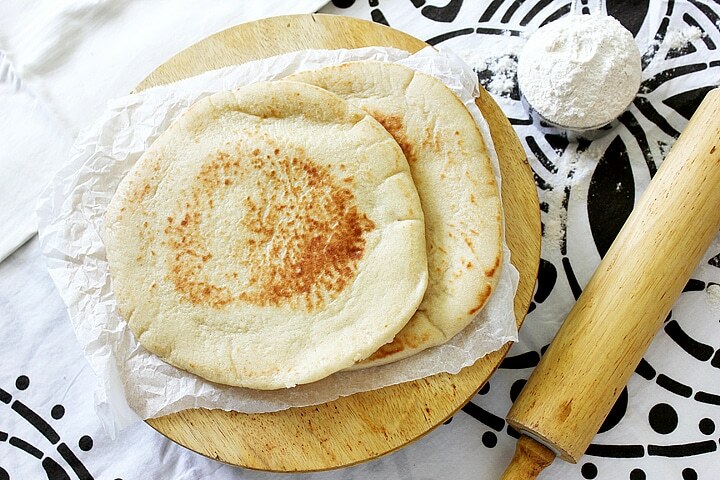 The thick and chewy Pita Breads are mostly used in another dish called Hawawshi or Araies, where the bread is stuffed with minced meat and grilled or baked in the oven. Makes 4 medium size. 250 calories per bread. – In a small bowl, add the water, milk, sugar, yeast, and mix well. Cover and set aside for 10 minutes. 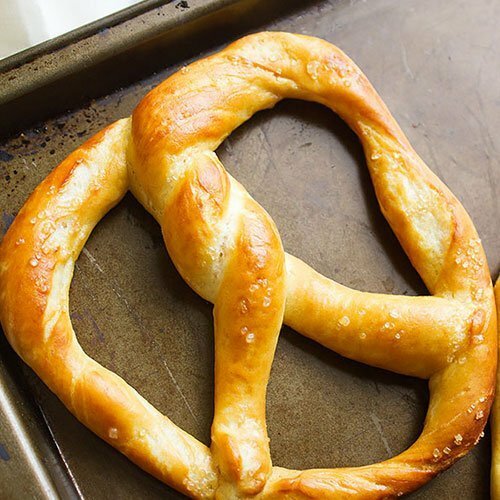 – In a different bowl, add both flour, salt, and baking powder, whisk well to combine. 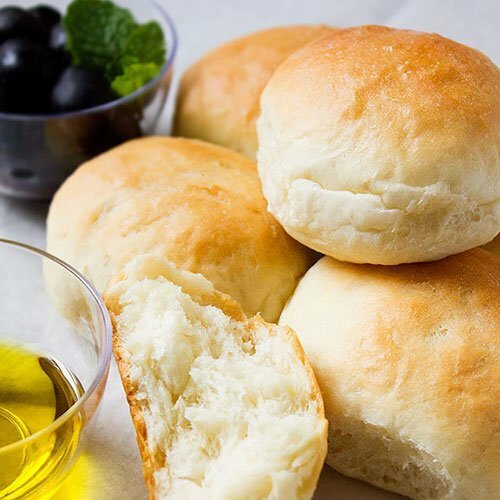 – Add the yeast mixture and oil to the flour and knead until you get smooth dough. The dough shouldn’t be sticky. – Cover the dough with plastic wrap or wet cloth, let it double in size in warm place, may take an hour. – Make four balls out of the dough. 5 – 6 inch circle. with the kitchen paper separating each. Cover with cloth and let it rest for 20 minutes. pan, flip the bread in about 9 seconds. 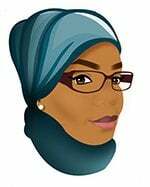 – Cover the bread with a cloth to keep it soft. One of the prettiest pita bread I have ever seen, Muna. I like that you have added wholewheat into this classic white bread. Thanks for the tip on how to make puffy pita. Gotta try this next time. Thanks Angie, I love this version of pita bread more than any other, since it has a hint of sweetness and soft in texture!